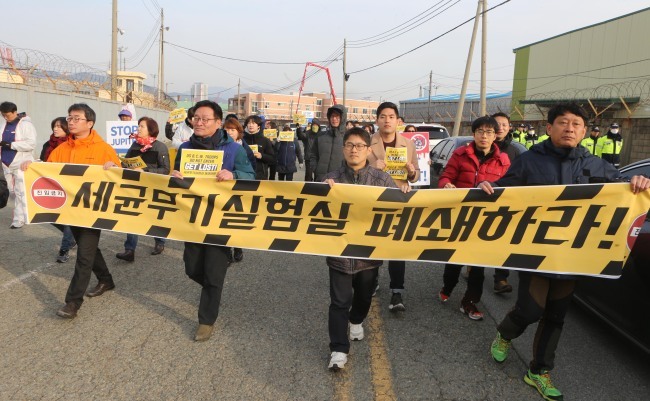 USFK ‘unequivocally’ denies conducting any tests on biological agents, but people are worried. 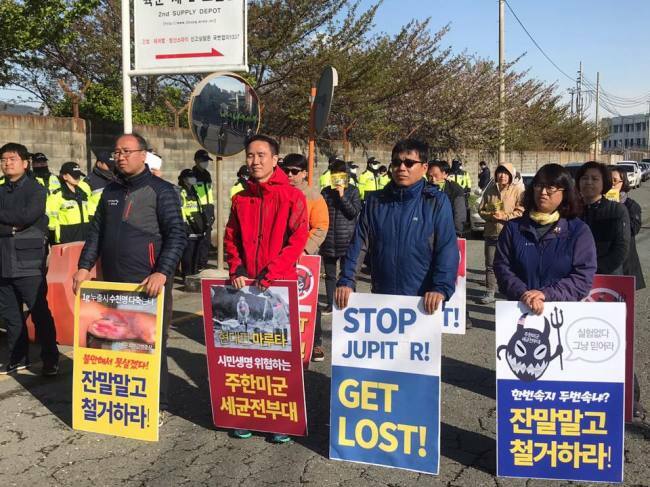 Civic groups and Busan residents have taken to the street expressing fear of possible biological agent experiment, in the aftermath of renewed allegations that US troops stationed in South Korea are coducting such tests at the city’s port. 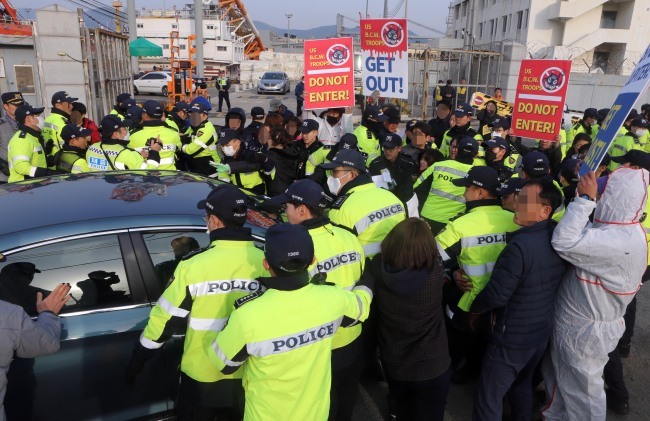 Every morning, dozens of residents and activists gather to block the entrance to the Pier 8 military storage center for US Forces Korea in Busan’s Nam district, to stop the US soldiers from going to work. “Why don’t they (the United States) just conduct the tests inside their country? Why in Korea?” Kim Suk-heun, the leader of a regional civic task force calling for an end to the “biological weapons lab,” told The Korea Herald. The controversy over the biosurveillance project resurfaced in March when a local daily ran a report citing the US Department of Defense Fiscal Year 2019 Budget Estimates, under which more than $3.5 million was allocated for JUPITR at Pier 8 -- showing that the project is still ongoing. The investigation report revealed that the USFK had brought in and tested dead anthrax samples 15 times at Yongsan Garrison in central Seoul between 2009 and 2014. In 2015, 1 milliliter of inactive Yersinia pestis (bubonic plague) samples were delivered to the Osan Air Base for JUPITR -- along with the live anthrax sample, rather than the intended inactivated anthrax sample. Following the incident, the Korea-US Status of Forces Agreement was revised to mandate that the USFK file a report with the Korea Centers for Disease Control and Prevention when importing any biological agent, including inactivated biological agents. The Defense Ministry said it recently confirmed with the Korea Centers for Disease Control and Prevention that no cases have been reported by US troops since the revision of the SOFA. “USFK works very closely with the Korean government by reporting scheduled shipments of any JUPITR-related resources within the SOFA Disease Prevention and Control Subcommittee,” the USFK told The Korea Herald. “They are said to be dealing with deadly biological agent samples such as plague and anthrax -- weapons of mass destruction. Even if they do not intend it, accidents can happen and that would just be horrendous,” Kim said.